If you need me for storyboards, sketch and/or key art, give Famous Frames a call. They’re handling all my bookings. I’m thrilled by this new development in my career. Its exactly what I wanted and so far, FF have been fabulous. Wonderful. So please, contact them if you would like me to do some work for you. Had the honor to paint up another tribute portrait of someone who left us all too soon. I hope I was able to catch the spirit he shown in his eyes in every photo I had seen of him. 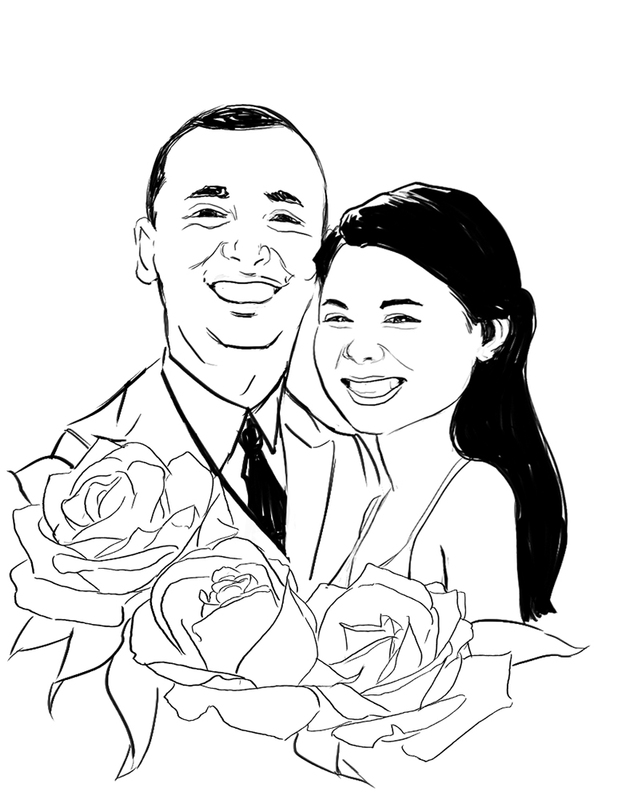 Where I get to draw up a young, recently married couple. For their "Thank you" cards. This was fun. I'm going to practice more with caricatures. Yeah, I'm going to do that. I added these pieces to the Sketch Art gallery. Last year (wow, its been a year?! 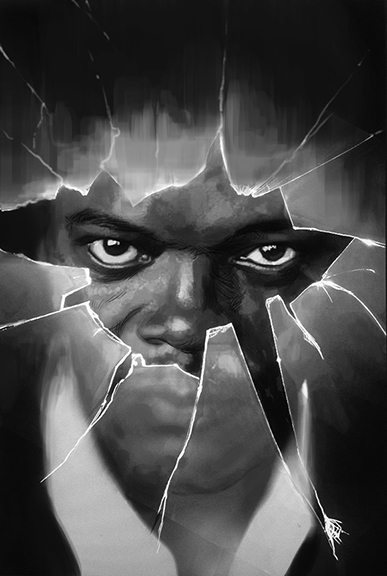 ), I had an amazing opportunity to work on the key art concepts for the movie, Glass. 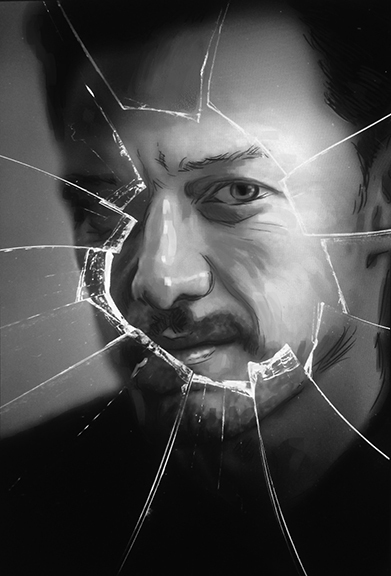 Had to draw Samuel Jackson, Bruce Willis, James McAvoy et al, multiple...multiple times for a day. I learned a LOT on this gig, too. Recently, I had the pleasure of working along with director, Richard Shepard on his new feature, The Perfection. 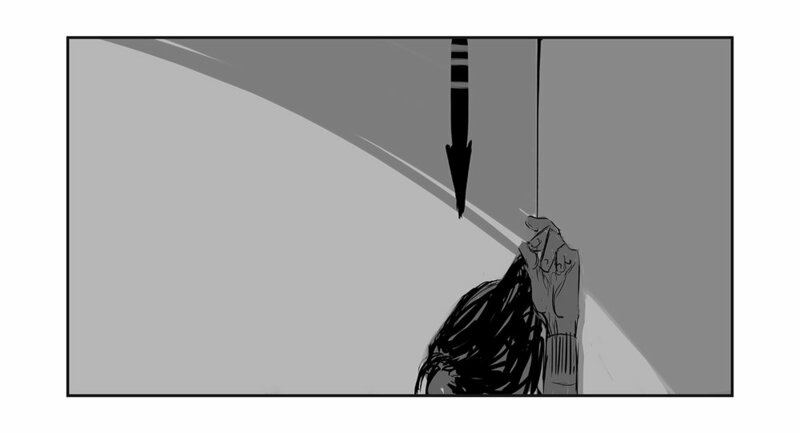 I was brought in to storyboard additional scenes. Not the usual, fast and loose, "shooting boards", but tighter and with more polish. They were to impress financiers enough to allow for reshoots. However, time was short and iniitially, 50 frames were needed. Oh, but that number grew to 75 in 2.5 days. 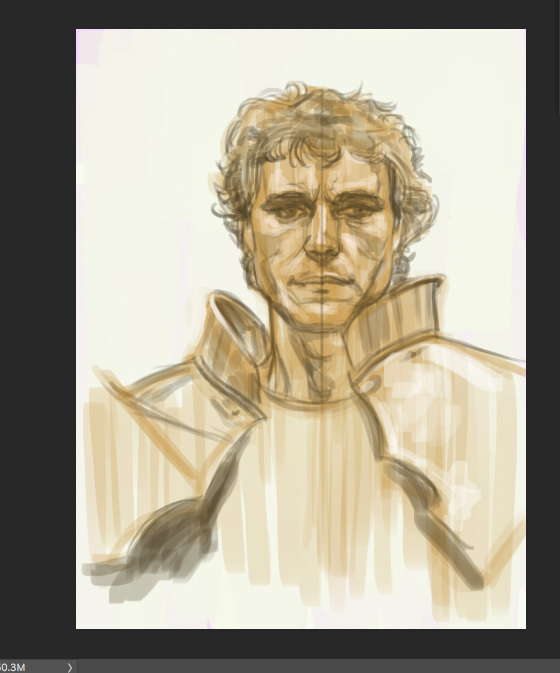 And I had to capture (as much as I could within such a slim time frame), likenesses. Fun. Its all fun. And it was! And the reshoots were granted! I can only show one or two frames from the project. Two NONSPOILERY frames. Just added to the sketch gallery! 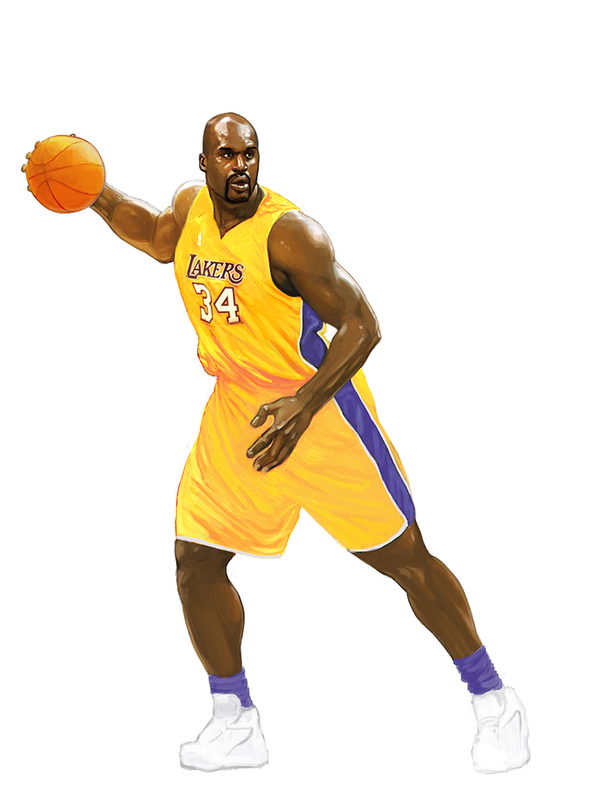 Shaq and Rebecca Lobo unused sketches. These were fun to work on. Well, drawing and painting is mostly fun. But I was up against another artist and ultimately the network chose that style; which I guess was more cartoony. Stuff happens. There's always a next time with your work. Next time, I'll get that gig! Premiered early in June. I was fortunate to work on a piece that's featured in the opening title sequence! Here it is! Here's the original piece as painted by me! Haven't added these to the gallery, yet. I was able to watch Planet of the Apes on the big screen, yesterday (6-24-2018)! 50th Anniversary screening. 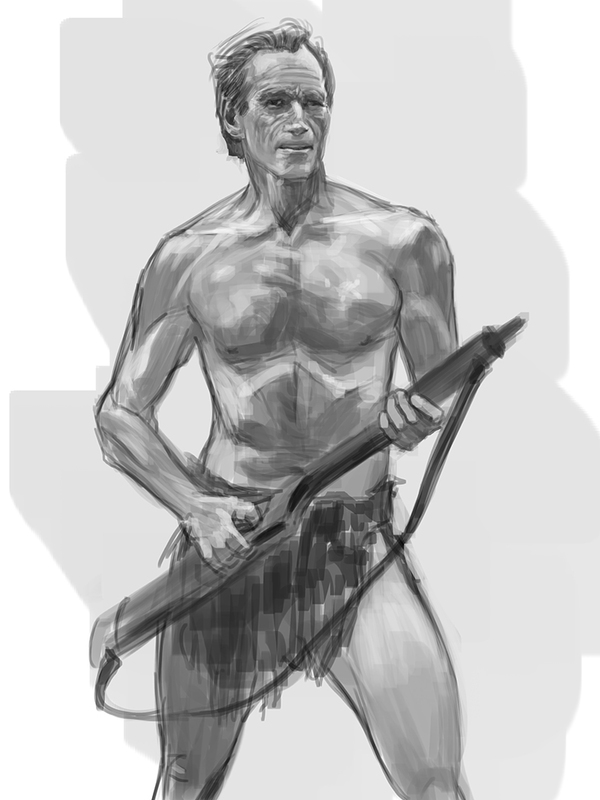 I sketched Taylor (Charlton Heston) out, quickly, before I headed down to the Egyptian Theater for the show. Nicholas Clay as Lancelot, sketch. Another quickie - a first pass. I'll finish this one. I was recently commissioned to paint this tribute portrait of a gal who had recently lost her battle with cancer. Every pic I had been sent as reference, she had a glow about her. THAT'S what I hoped, most of all, to capture. What I had done with this piece, is maintain the layers in Photoshop, of the entire process, from sketch to the last adjustment layers. 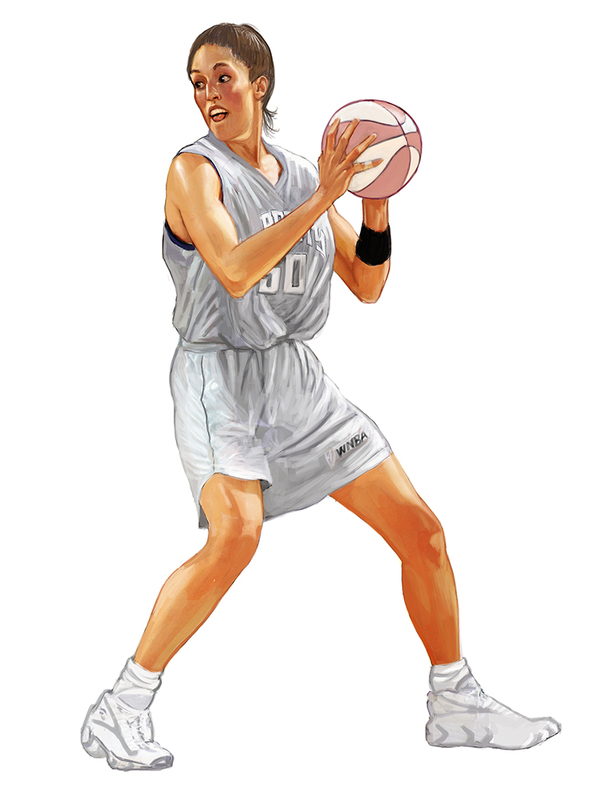 Its to be played, as a animation at her memorial service. Text will be placed at the left, hence the landscape format.